When we get adapted to one technological advancement, there is another thing that is already up there in the market getting acquainted to which we are left amazed. Whilst we people are yet not over with the powerbanks of different mAh, some genius mind long back conceptualised the idea of coming up with a charging station that lets the user charge upto ten devices. Yes, you heard that correct. 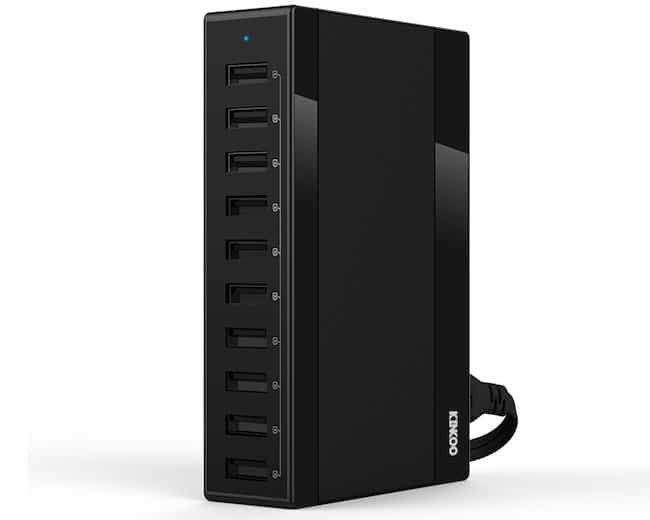 Here is a powerhouse, a 10-port USB charger, multiport for multiple devices. For people who have no option than to keep all their gadgets charged up and sometimes get baffled as to which gadget to charge first. Sometimes its the need of the hour to make sure your different gadgets are juiced up. If you constantly find yourself in need of power to keep your gadgets charged up, this device is surely going to appeal you. Kinkoo 10-Port USB charging station lets you charge upto ten devices at a time and comes with iPower technology. This ergonomically designed device is a perfect charging station that promises to sit on your desk/table without having to compromise with style. The device comes with Quick Smart technology, it identifies your device once you’ve plugged in, determines exactly how much power to send for the fastest charging. The device has 60W of power, meaning thereby that you can charge any gadget of any brand ranging from Apple to Android. Also, you can charge your e-reader, smart watches, GoPro camera, fitness bands, Bluetooth headphones, portable speakers and other gadgets. 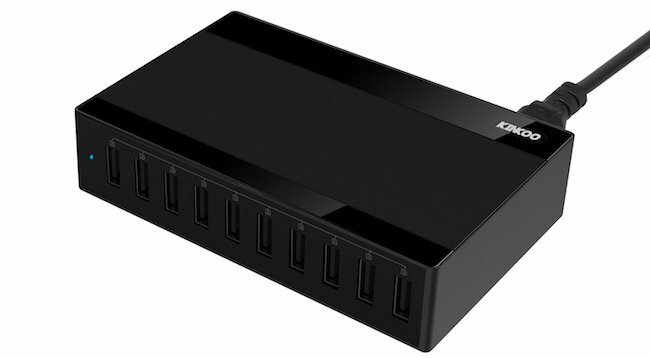 The 10 high-speed USB ports powerhouse can be place it on your desk, used as nightstand or countertop. The device detects your device to deliver its fastest possible charge speed up to 2.4 amps per port or 12 amps overall. 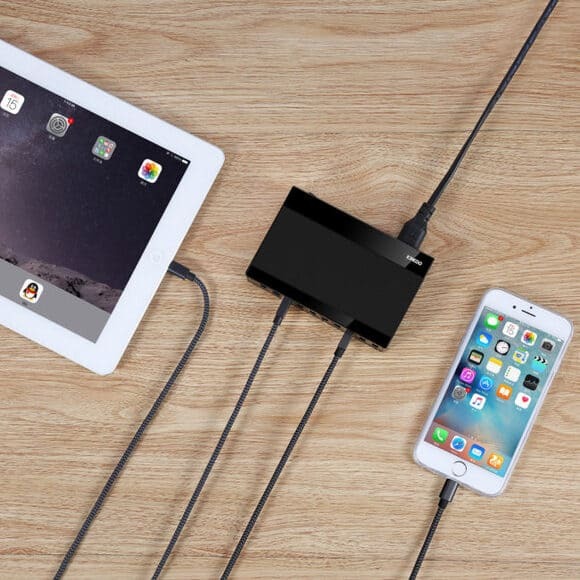 The best USB charging station can find your device and offer the current as per the need of the gadget. It is capable of handling either 100v or 240v power. Besides all the cool features the device is made with quality, industry-grade materials and premium circuitry. If you are worrying about the protection of your devices let me tell you that there is no risk of overheating or damaging the devices you charge. It is compatible with almost any all 5V USB-charged device. 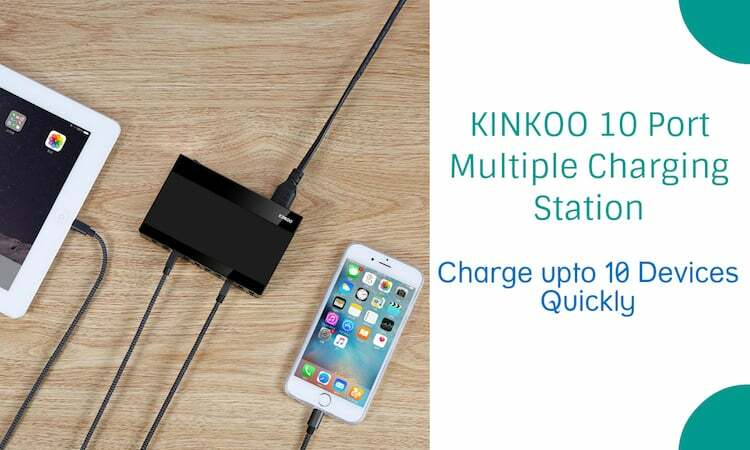 When you buy the cool Kinkoo 60W 10-Port highspeed USB charger station, 5ft/150cm detachable power cord, user guide and 18-month warranty (free replacement guaranteed) and friendly customer service. 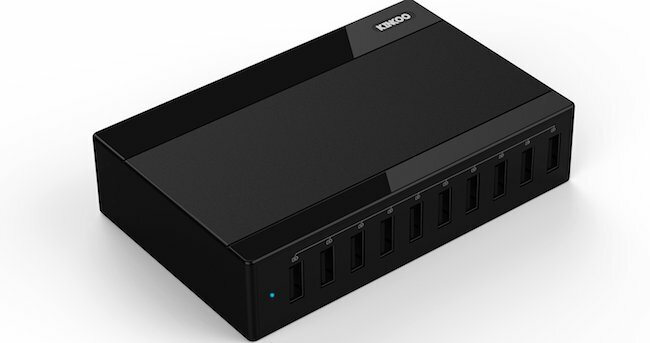 You can get the Kinkoo 10-port high speed USB charger station for $31.99 from Amazon. I found this cool charging station worth buying. What’s your take on it? Do share your views with us. This definitely is not the end of the what technology has to offer. Till the time we come up with more cool stuff from the world of technology; enjoy the ease the current technologically advanced devices and gadgets have to offer.